A special treat today – we are taking a look at “flat cedar” pencils. This is a historic pencil variety, no longer manufactured. They were made for waistcoat pockets, according to Henry Petroski’s The Pencil. And they are indeed very portable, even if you don’t have a waistcoat pocket. I’ve had for some while an old Eberhard Faber pencil in this style. It is roughly in the shape of a miniature carpenter’s pencil, though with a round core. The pencil fits in a case with a cover that is removed and placed on the base to form an extender. I’m not sure of the material – tin or nickel would be my guesses – but it has survived well. “E. Faber, U.S.A.” is inscribed. As pencils, the Johann Faber pencil lead is a lighter, harder lead than the Eberhard Faber version. I’ll have to keep my eye out for flat cedar pencil supplies. Hi – those are similiar to something I’m looking for. Where do you think I can find refills for this? Hmm, I’ve also received an offline enquiry about these. I don’t think it will be easy, as they are several decades old. That said, historical recreations of pencils have been made, so perhaps someone has or will take on the flat cedar pencil. Is anyone out there aware of a source? I have purchased a pack of 12 5837 pencils from an antique shop. What do you think they are worth? You bought a whole box of these intact? That’s a rare find. Based on what I’ve observed on Ebay, I’d guess a full box could fetch $200 or more – possibly much more depending on the overall aesthetics and state of preservation. 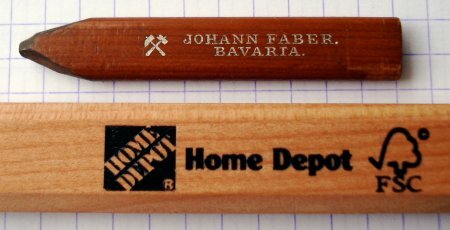 These pencils look a lot like the Home Depot “carpenters” pencils made by Musgrave. They’d just need to be cut down to make them shorter. Maybe the carpenter’s pencils are slightly thicker, but they are close. 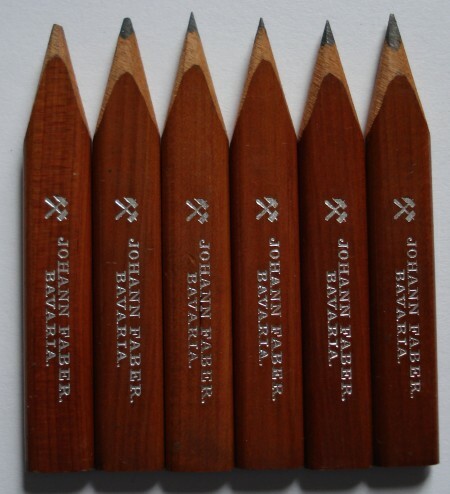 I came across your conversation above and we have just inherited a box of cedar pencils exactly as the picture of Johann Faber’s. There are 11 unused pencils in the box. On the back is a price of “4d” = 4 pence pre-decimalisation. Very interesting but not too useful. 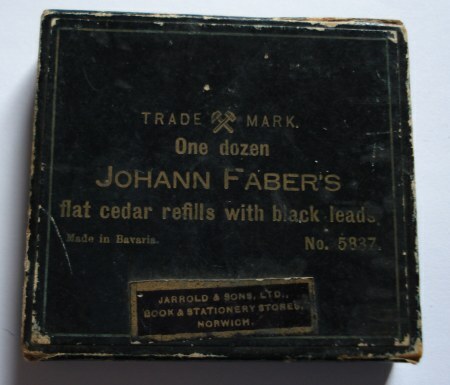 If anybody is interested I have a genuine box of Johann Faber flat cedar refills, made in Bavaria No. 5837. There are 11 refills in the box, unused. I would be interested in selling them. How much you be asking for the pencils. The pencils are exactly the same as shown above and are currently listed on Ebay, item number 350706826473. If anyone has a single 5837 for sale, I’d be interested. The one I have is just about done! still looking for a 5837! I am in need of these pencils for a 1940s Battin & Co. 14k yellow gold pencil case. the dimensions are close to 8.8mm x 4mm and about 3 inches long. If any of you above still have your pencils, I would be very interested in purchasing them. has nobody got a spare 5837 that I can buy?